Current trend on technology these days is networking online, or in other words, social media. There are various ideas and opinions on definition of the term social media, however, there are three factors that remain consistent about it - (1) it's a medium that involves interactions and exchange of information in virtual communities and network, (2) it's a trend that&apos;s continuously evolving, and (3) the benfits and opportunities it provide are significant. Social media offers businesses a way to communicate with its targeted audience which would have been difficult to imagine even a few years ago. 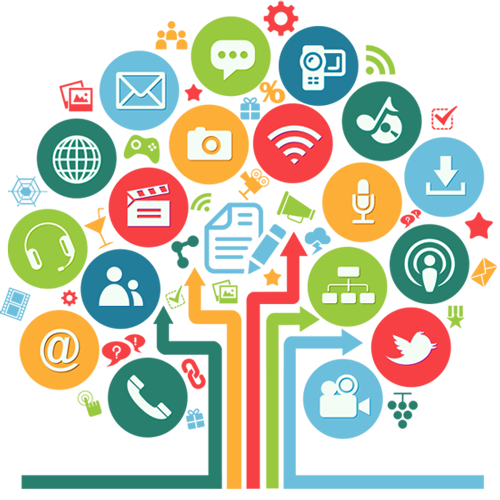 Social Media services provide tangible business benefits and our team of consultants can help you choose the right social networking platform for your business. In the last few years, social media has taken over the Internet. YouTube is now one of the most used search engines; Facebook and Twitter are where millions of people spend the majority of their time online, and LinkedIn has seen meteoric growth as the hub for professionals from all disciplines. If you own a business, existing or start-up, you can no longer choose to stay away from this social networking. Few years ago one happy customer used to share their positive experience with some close associates. Today, one happy customer can share that experience with hundreds of Facebook friends or Twitter followers with just a few keystrokes, which leads to a ripple effect. However, do you know enough about social media marketing for an increased awareness of your business and brand? We do, and our consultant team can help you choose the right social networking platform for your business. Optimizing your social media presence requires more than just setting up some profiles. In order to succeed in today's social media world, it's important to identify where your target audience is likely to spend most of its time. Our social media services will help you do just that.